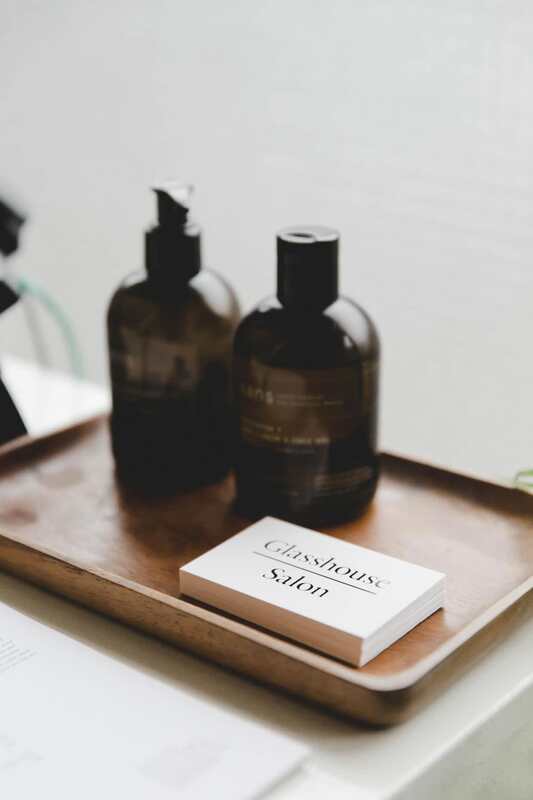 ​We’re lucky at Glasshouse Salon to have a small, close-knit team of staff who are passionate about organic hair, beauty and wellbeing. However, every now and then we get on the look out for other like-minded individuals to join the Glasshouse fold. We currently have a rare opportunity for a driven and hard-working Sunday Receptionist to join the team and embrace our unique way of doing things. Do you want to be part of a team who are at the centre of the natural and organic beauty industry in London? Are you a great written and verbal communicator who can make a real impact to our salon, shop and journal? Tell us more! You will be responsible for the smooth-running of the salon on a busy day of the week, taking care of the team, managing bookings and assisting us with creative duties. If this sounds up your street and you’d like to see a full job description and details on how to apply, please email lucy@glasshousesalon.co.uk for more information. As Mia steps into the role of Creative Director at Glasshouse Salon, we head to her East London home to find out more about her upbringing in LA, her love for animals and her passion for natural and organic beauty. Considering switching up your go-to makeup products in favour of natural and organic brands? We have salon service that might be just the ticket - a one-on-one consultation with a trained makeup expert for products recommendations personalised to you! ​We launch a collaboration with London based illustrator Alexa Coe. Inspired by her favourite products from Glasshouse Shop, the collection includes six original artworks in Alexa’s signature style, available to purchase exclusively on the Shop. ​September marks the start of a new season, and what better way to say hello to Autumn than with a fresh new hairstyle - and we had plenty of those at Glasshouse last month. Organic September: Why choose organic beauty? ​As Organic September draws to a close, we delve into the world of organic beauty, dispelling any myths and giving the lowdown on why, what and how you can truly understand a product’s eco credentials. We talk nails, beauty and grand plans with the newest member of the Glasshouse team heading up our Saturday manicure service, Tabby Casto. ​Our latest pastel-tinted shoot is a collaboration with some of our favourite creatives in the world of sustainable fashion and beauty.